These walking sticks range from the most simple form that is still decorative to very formal walking sticks with metal or crystal grips. The grips vary from two inch diameter to a simple continuation of the shaft, which tapers from approximately one inch at the grip to as much as seven-eights or as little as three-eights at the tip. They are finished in several ways. 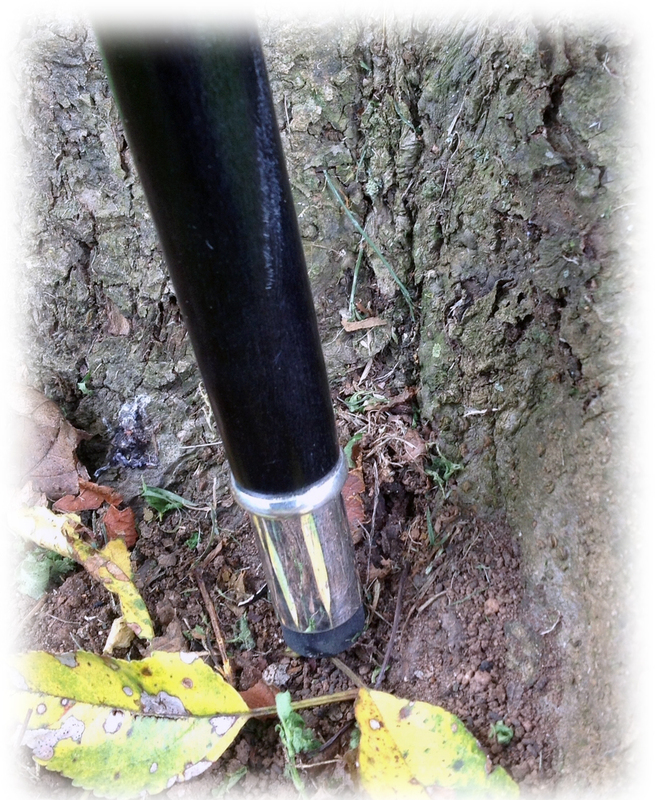 For the more informal canes I use Velvit Oil to make them water resistant and then buff and polished with carnauba wax so it feels warm and smooth in the hand, with no sense of a plasticine coating. For the more formal canes I use upwards of fifteen to twenty coats of lacquer or enamel to give them a built-up finish. 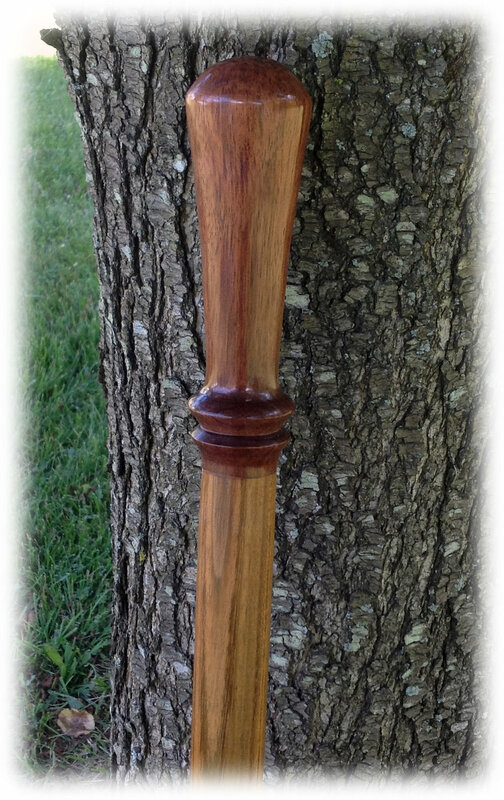 One variety is a 48 inch walking stick in ebonized hard maple with silver appointments. Rather than use ebony in making this walking stick cost is kept down by using clear hard maple, ebonized with USMC Black leather dye. The result is a shaft that is remarkably like ebony at something like 1/20th the price. The leather wrist strap is actually connected to the shaft with an attachment that is used to make jesses, the loops used in falconry to provide a comfortable 'bracelet' for the falcon. This is an elegant piece, designed be seen and sure to see many years of use. It will complement any evening, adding a touch of Victorian class to any outing. For all of these canes and walking sticks the length, grip, tip, color, and strap are fully amenable to customization. Prices range from $83 for wood-on-wood country walker to well in excess of $200 for silver on ebonized maple formal Opera Cane.